In recent months, three class action lawsuits have been lost by Johnson & Johnson over its controversial yet very popular antipsychotic drug Risperdal (generic: Risperidone) that has been linked to large numbers of potentially life-threatening side effects. If you or your loved one has experienced side effects or serious complications after taking Risperdal, you may be eligible to file a claim against the drug manufacturer, Johnson & Johnson. At the law firm of Buckfire & Buckfire, P.C., our Ohio Risperdal lawyers are actively pursuing dangerous drug lawsuits on behalf of patients suffering from Gynecomastia (growth of male breasts), Galactorrhea (production of milk from breasts), diabetes, and other serious side effects as a result of taking Risperdal. For a free, no obligation case review call out top rated Risperdal Ohio attorneys now at (800) 606-1717. 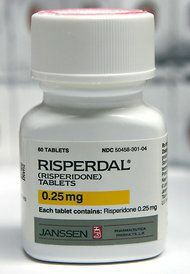 Risperdal is a medication used in the treatment of psychotic disorders, such as schizophrenia and bipolar disorder. It was approved by the U.S. Food & Drug Administration (FDA) in 1993 for treatment of such disorders, however the drug was also commonly prescribed in a so called “off-label” capacity for the treatment of behavioral disorders in the elderly such as dementia, attention deficit disorder (ADD) in children, as well as anxiety, depression, and autism. Even though the medication has been known to be effective in treating such medical conditions, there have been a number of studies that report several patients, particularly men growing breasts or developing breast tissue as a side effect. Am I Eligible To File A Risperdal Lawsuit? Usage of Risperdal or generic drug as a minor (ages 17 years or younger). Usage of brand name drug (Risperdal) for at least 30 days. Requires formal diagnosis of gynecomastia before filing in court. Cannot be a Michigan resident. The process of filing an Ohio Risperdal lawsuit can be complex and confusing. If you believe you or your loved one has suffered from a serious side effect as a result of taking the antipsychotic drug, you should consult with an attorney immediately to determine whether or not you have a lawsuit. The attorney you hire should specialize in dangerous drug lawsuits. Every drug carries it own sets of serious risks. However, if you were not advised of those risks you do have means to sue. At the law firm of Buckfire & Buckfire, our Ohio Risperdal lawyers will specialize in these types of claims. We will investigate your case and collect all of your medical records to prove and win your case. This requires proving that that the medication you took caused unreasonable dangerous side effects, that you were not provided adequate warnings or instructions regarding the use of Risperdal (generic: Risperidone), and that the drug was in fact the cause of your injury. There are strict statute of limitations for filing a dangerous drug lawsuit so it is important that you do not wait too long to consult with one of our top rated Ohio Risperdal attorneys. Missing a deadline could mean that your case may be lost forever. Do not lose your case because you waited too long. You could lose out on your chance of recovering compensation for your pain and suffering and reimbursement of your medical bill expenses. For more information on filing a claim and to get help from the best Risperdal lawyer in Ohio call our top rated law firm today at (800) 606-1717. We offer a free, no obligation case review and will represent you under our No Win, No Fee Promise. This means there are no legal fees or costs to you until we win or settle your case. Call now!